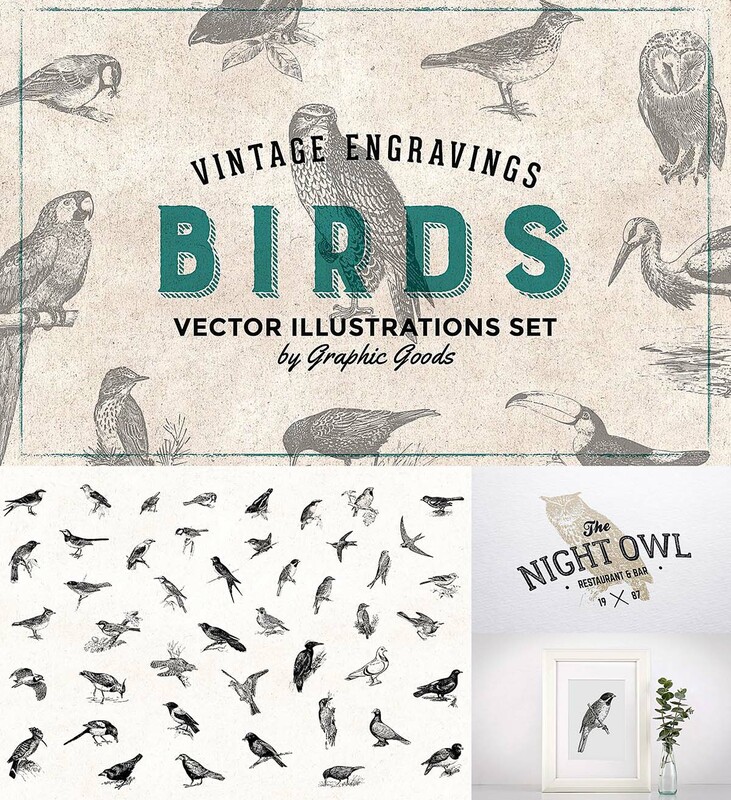 This set contains 97 vintage vector engravings of birds. It includes illustrations of titmouse, sparrow, swallow, chaffinch, rook, blackbird, stork, crow, swift, magpie, pigeon, jay, ladwing, pheasant, cuckoo, woodpecker, flycatcher, skylark, seagull, heron, pelican, swan, flamingo, parrot, penguin, owl, falcon, hawk, eagle, ostrich and many others. 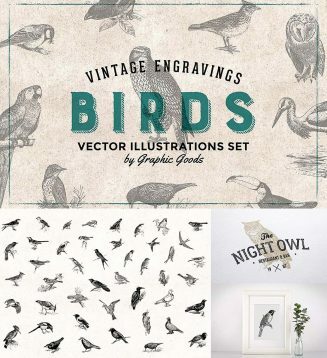 Tags: Bird, blackbird, chaffinch, cuckoo, eagle, engrave, falcon, flamingo, flycatcher, hawk, heron, jay, ladwing, ostrich, owl, parrot, pelican, penguin, pheasant, pigeon, rook, seagull, skylark, sparrow, swallow, swan, vector illustration, vintage engraving, vintage illustration, woodpecker.